The Snooze Button Generation 2019: Stop this clock madness! The great thing about being a member of the Snooze Button Generation (TM) is that we can look back at past technology or fads or the way we did certain things and laugh. We had VCR's. We used drawers of index cards in libraries. We did an M.C. Hammer dance, and some of us even wore Hammer pants. So, what I'm hoping is that this whole spring forward/fall back boondoggle goes the way of Hammer pants. We need to keep Daylight Saving Time forever, and finally do away with fiddling with our clocks. The vast majority of Americans are behind this plan, but, unfortunately, no one in Congress is spearheading a campaign to "stop this clock madness!" 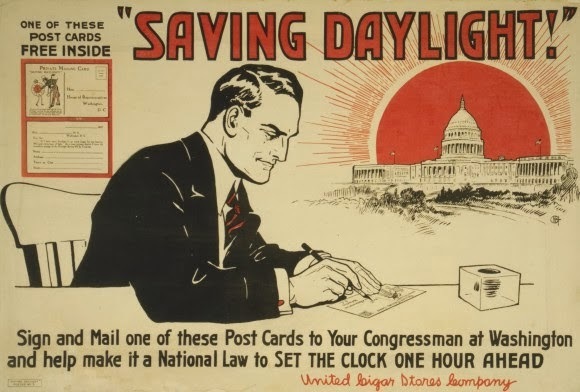 In Florida, a small push was made for the Sunshine Protection Act to keep that state on Daylight Saving Time. However, ROPA (the Regulatory Overreach Protection Act) would likely not allow that to happen on a state-by-state basis. Stop this clock madness! Keep Daylight Saving Time forever! We need AMERICA TIME! Let's go national. This column came out on cnn.com a few days ago promoting the idea of keeping Daylight Saving Time intact. While the thesis of the column is correct, the argument is shoddy, and the suggestion to have states try to do it on their own wouldn't work because of ROPA. 1) Energy will be saved. 2) Overall, the U.S. economy will be helped. 3) The general population is overwhelmingly for this. I predict that Daylight Saving Time will be permanent in the United States within 20 years. I say it should happen ASAP. Honestly, now would be a better time than ever. As partisan politics hinders Washington more than ever, this bipartisan issue would be perfect to bring Democrats and Republicans together. Yes, it is true that people resist change. But it gets dark early enough. Let's save daylight, and — as the idea in the hackneyed CNN column suggested — let's save lives!